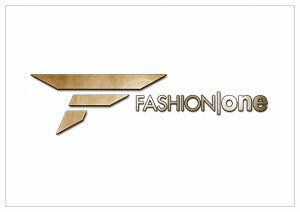 Hong Kong, February 11, 2014 – Fashion One, the premiere international channel for fashion, entertainment and lifestyle, serves up an interesting avenue for style with new culinary series, Dining With Style. The series showcases the adventurous lifestyle of the network's ultimate fashionista as she learns her way in the kitchen, dishing out delectable but stylish meals from gourmet meals to exotic Indian cuisine. Dining with Style is a marriage between fashion and food. This 5-episode, 30 minute series features Fashion One correspondent, Stefanie Rycraft Jones, as she takes a break from covering the runways to master the 'Art of the Knife' at one of London's exclusive cooking school, VOM FASS Cooking School. Guiding her along the way is the fabulous Chef Vanessa Adonis, VOM FASS' very own product developer and master chef who has trained with Chef Joel Valero, owner of the restaurant Oh Duo and was a former pupil of famous 3 stars Michelin chef, Bernard Loiseau. Joining them is international wine specialist and product manager for VOM FASS UK, Fabrice Blasquez, who has in his 20 years of expertise served names like JPG and Karl Lagerfeld from Michelin Starred restaurants and fashion events. VOM FASS International is the leading distributor of premium quality wine, unique liqueurs, spirits, cooking oils and vinegars with over 250 outlets worldwide. "As a fashionista, I'm always running to and from runway shows and celebrity parties but I feel that the time has come for me to learn my way around the kitchen," Stefanie confesses, "This really is an exciting adventure for me as cooking is an area that I have very little experience with; but of course this being with Fashion One, I am here to add a sprinkle of fabulousness to it all." "This show is not just about learning the recipes but it showcases cooking as an art form that can be stylish and fashionable," says Executive Director Ashley Jordan, "Having a fashionable lifestyle is not limited to the way you dress up, it also extends to how you eat, so why not dine with style?" Dining With Style premieres February 25, 2014 and will be shown every Tuesday at 22:30 (GMT+8 for Asia / GMT+1 for the rest of Europe), exclusively on Fashion One. Check your cable operators for your local TV channel listing.